Conformation is how well a goat conforms to the ideal according to breed. For the ADGA animal, conformation is the same across all breeds, except for breed specific characteristics such as ears, color, and stature. 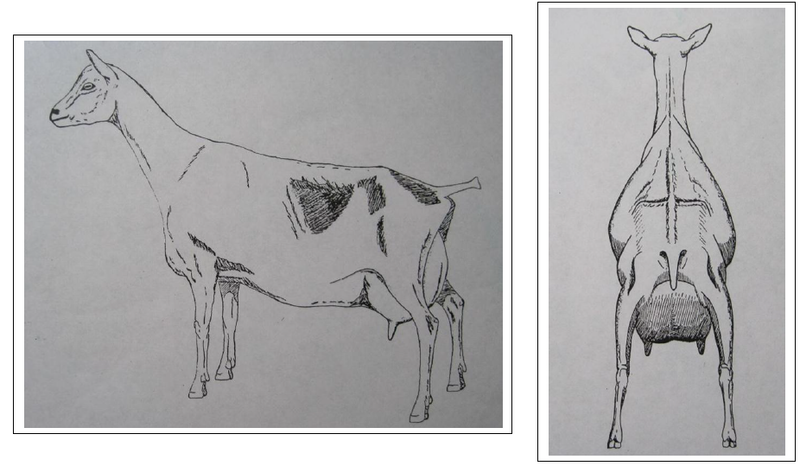 Below, you will find drawings of the ideal dairy goat. Why use drawings to show the ideal? Well, simply because there is no such thing as a PERFECT dairy goat. Both ADGA and AGS have a unified scorecard for all dairy breeds. You can find the ADGA Unified Scorecard HERE and you can find the AGS Scorecard HERE. For breed specific conformation characteristics, visit your registry.